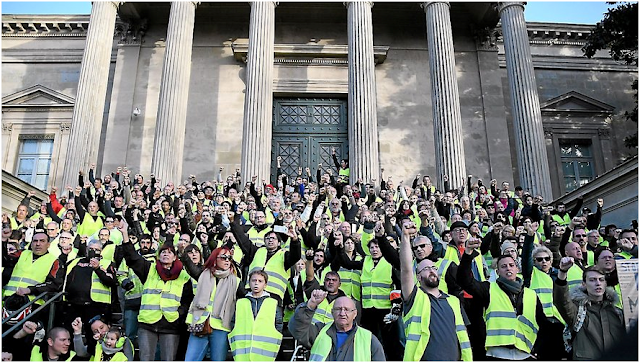 Background on the "Yellow Jackets"
Found an overview here: "Yellow Vests"—New French Revolution? 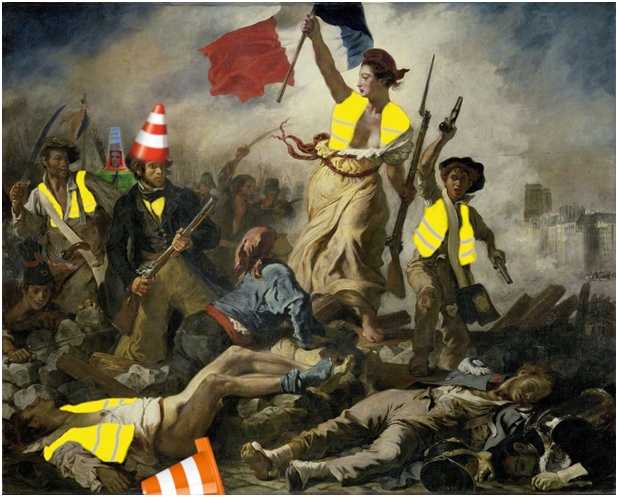 Who are the "Yellow Vests?" They aren't Parisians, or big-city folks at all. 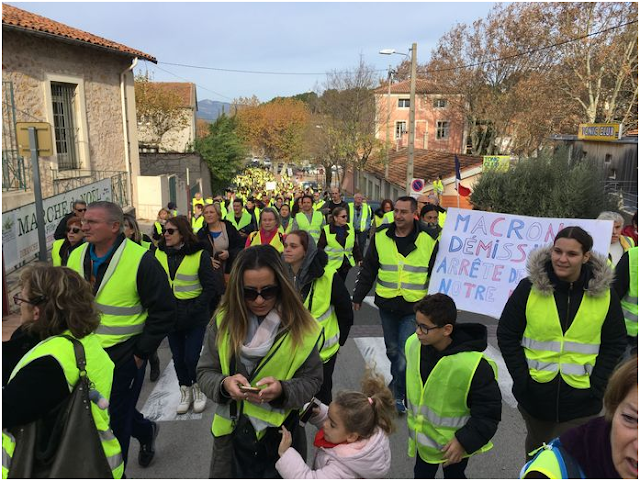 These are small- and mid-sized town, working-class people from 'flyover' France, who absolutely need a car to get to work. Retirees too, who've seen their pensions decline under Macron. They are low-income, blue-collar, patriotic in a country that sneers at patriotism. They are also overwhelmingly native French. The French are already some of the most taxed people on the planet. Almost 50% of their GDP is made up of taxes of one kind or another. 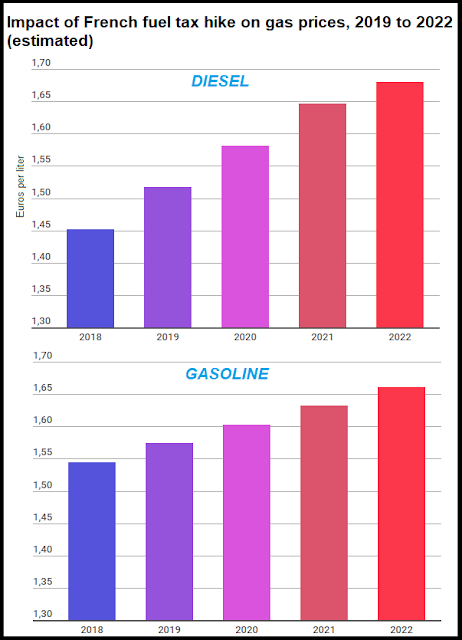 Unemployment is stuck chronically around 10%, purchasing power is falling, and people today fear their kids will live less well than they did. How is the government reacting? 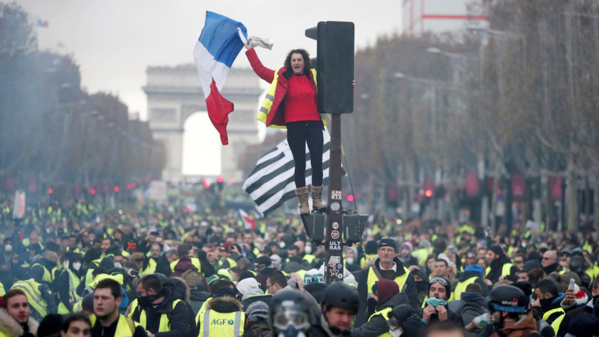 Has the next French Revolution begun? No one knows. As the days go by, things seem to be intensifying. Regional protests began peacefully. Some elected officials have even lent their support. 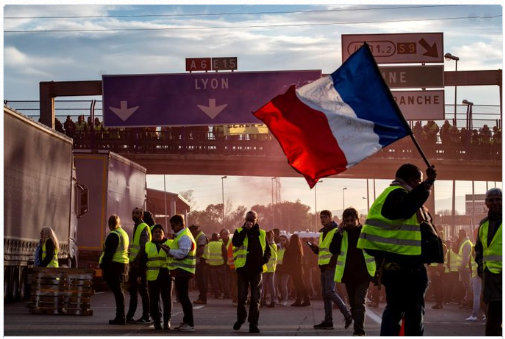 But some Yellow Vests are radicalizing.What happens next? 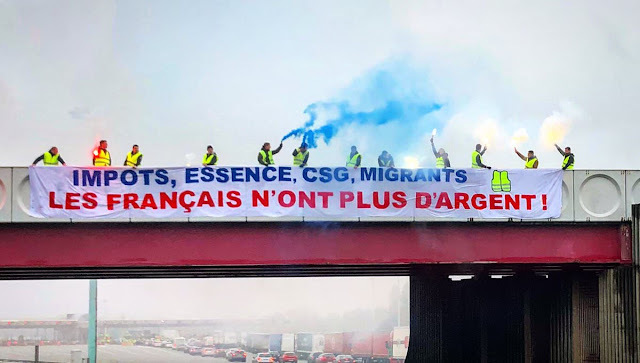 It truly is anyone's guess, as the general feeling in France is that we have officially reached terra incognita. We shall keep updating, as things are moving fast.